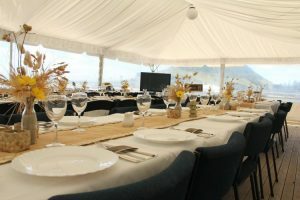 At the Mount Ocean Sports Club we are dedicated to creating a memorable event. 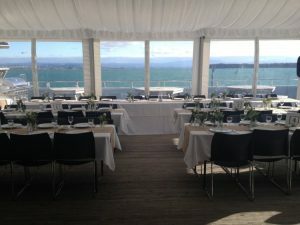 The Function room can hold up to 80 people with the option of hiring a marquee for the deck to extend the space and accommodate 100 people. The room can be hired for half a day, full day or evening. 5 x BBQ tables and umbrellas on the deck. Our restaurant caters for all functions.